There aren’t many places in the world as historically significant as Cairo. Situated on the Nile River in the north of Egypt, the city is in an almost unique position. On the one hand, it has become a sprawling modern city where business is conducted, tourists pass through, and over nine million people live permanently. On the other hand, however, it is quite literally minutes from perhaps the most famous of the wonders of the ancient world: the pyramids of Giza. The result of this blend of atmospheres is that this is a place where you can embrace the ancient world without surrendering modern luxury. A trip to Cairo can give you the opportunity to enjoy high-end lodgings, fine dining, and any other modern amenity you might desire; yet you can also gaze at the most famous river on Earth, imagine its use to civilizations that lived thousands of years ago, and tour some of those civilizations’ most spectacular monuments. As you settle in, you may actually want to make the Egyptian Museum in town your first stop. It probably goes without saying that Egypt has an outstanding national museum. But truly, this one is spectacular. Ranking it as the 11th best museum on the planet, the Travel Channel’s online publication praises it for gathering together some of the finest archaeological finds from all of Egypt, as well as for housing one of the most significant artistic pieces from human history. That piece would be Tutankhamun’s golden mask, a breathtaking work and to many people the very symbol of ancient Egypt. 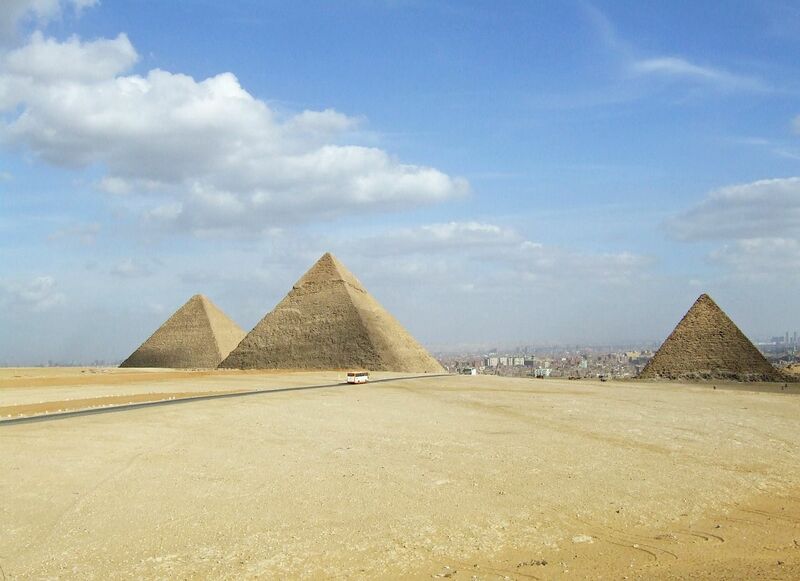 Then, of course, there’s the short trek to Giza across the Nile, where you can actually see the pyramids. These are ancient wonders that have been distorted by innumerable fictions and myths. And yet, in person they’re almost more spectacular than you imagine. In fact, it’s one of those fictions – an arcade slot reel with an Egyptian theme – that may have put it best: the mysteries of the Egyptian pyramids are still being unraveled to this day. Indeed, these structures are so vast and intricate (and delicate) that the game’s preface isn’t wrong. Experts are still working on them to this day. That gives you some idea of the incredible structures you’ll actually be seeing – not to mention the legendary sphinx that guards them! For your time in Cairo, as mentioned, there’s plenty of modern luxury to enjoy. To begin with, there are plenty of terrific hotels where you can ensure that your restful hours are as comfortable as can be. The Nile Ritz-Carlton may be the most renowned option, with an unrivalled location and a stellar reputation. Then again, the Four Seasons First Residence is also a terrific local pick. This hotel has views of the Nile (and the pyramids in the distance), on-site shopping and tennis, and even a restaurant where the chef offers occasional cooking lessons. There’s plenty of fine dining to enjoy in town as well, assuming you’d like to venture out of whichever hotel you choose for a few meals. The Oak Grill is a wonderful, stylish establishment where you can enjoy a sleek, modern design and a menu of Middle Eastern preparations meant for two or more. And if your primary concern is an elevated atmosphere, U Bistro & Bar is also a great pick, with dark rooms that make you feel as if you’re eating in an exclusive environment. If in addition to accommodations and dining options (and all the amenities at hotels like the ones listed above) you’re looking for a luxury-inspired activity, you may also want to consider a cruise on the Nile as a final component to your trip. Specifically, the legendary cruise from Cairo to Luxor is possible again, having been revived after two decades. This is a wonderful opportunity to enjoy the river in a comfortable setting, as well as to wind up exploring Luxor – the only Egyptian location that can rival Cairo for tourist appeal. Previous Post: Ultimate food at the ultimate festival?